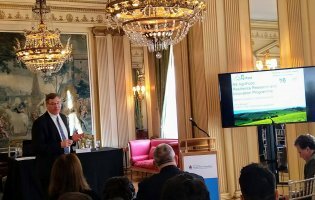 Presentations were given outlining three projects designed to help Argentinian farmers improve crop production, and in turn protect supply to the UK, which imports about 50 per cent of the food it consumes. The projects developed out of an innovation and export forum, hosted at Lancaster University in September, which brought together academics and industry from the UK and Argentina to explore opportunities for collaboration. With £30,000 in N8 AgriFood funding, three projects have evolved and were showcased at the Embassy. Professor Ian Dodd talked about a new project to develop a high protein soya bean crop for Argentinian farmers, who currently produce 50 per cent of the world’s total soya exports. The industry has recently had to increase yield to meet demand, but it has been at the expense of protein quality, and in turn has resulted in a £400 million loss globally. Dr Nick Chappell then showcased how ground water monitoring sensors, used as part of flood mitigation measures in Cumbria, are being rolled out to enable farmers in Argentina to make use of more detailed data to improve irrigation for water sensitive crops. Finally, Professor Martin Parry talked about plans for a project to increase wheat yield and quality in Argentina, which is accountable for 75 per cent of the production of wheat in South America, but has seen flat yield with increased land use instead contributing to increased production. Working with industry, the project seeks to develop new molecular markers that seed breeders can use to create a high quality grain. 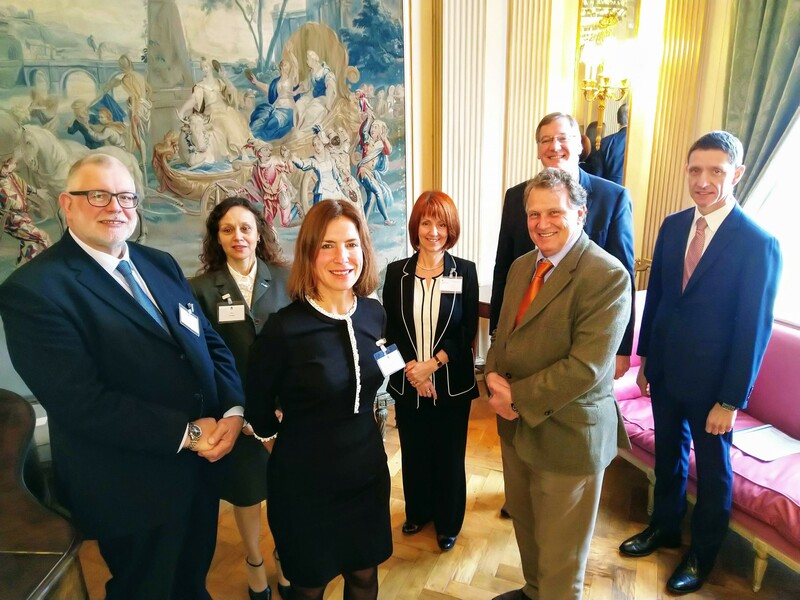 Speaking at the Embassy, Prof Mariana Rufino, N8 AgriFood’s chair at Lancaster University, who has led on the programme, said: “Many of us know that one of the results of globalisation is an increase in trade. “The UK imports about 50 per cent of the food it consumes, while Argentina uses about 80 per cent of its land to produce export produce. “There is an opportunity for mutual benefit for a country that is a typical importer and a successful exporter to find out how we can benefit from combining knowledge in agrifood and agritech. Also speaking at the event was Professor Carole Mindell, Chief Scientific Advisor to the Foreign and Commonwealth Office, who said science was always a global endeavour and that the relationship between UK and Argentina on scientific research had strengthened, particularly in the last two years. She also welcomed further steps to build on those partnerships founded on research excellence which had the potential to drive commercial growth and contribute to national prosperity. The Ambassador, Renato Carlos Sersale di Cerisano, said: “Two years ago we signed with the UK Government a Memorandum of Understanding to ensure six areas of work, and the Agri-industry was one of them. Thanks to Mariana Rufino, she has been delivering work with the N8 AgriFood group. “There are two elements to these collaborations. The first is institutional. We want to improve the quality of our institutions to do research and apply research. The second is economical. There is a lot of potential in what Argentina can offer to the global market. Other speakers at the event included Dr Maria Ines Dorrego from CONICET, Dr Roderick Westrop from BBSRC, Arnaud Petit from the International Grain Council, and N8 AgriFood’s academic lead for international engagement Professor Steve Banwart. Speaking about Argentina as one of N8 AgriFood’s three strategic international partners, Prof Banwart said: “We are looking for opportunities for our science to be useful as we have to produce more food for the world in a sustainable way. The Argentinian food sector is vital for the sustainability of the global food system.